A federal judge in Washington has dismissed a Justice Department suit that sought to block the merger between AT&T and Time Warner, allowing the deal to proceed without conditions. AT&T said that it plans to begin steps to close on the deal immediately now that it has won the case. In a lengthy opinion, U.S. District Court Judge Richard Leon said the government did not prove its case, either with its arguments or its witness testimony. While the government can appeal the ruling, the judge, in very strong language, urged the government not to seek a stay that would block the two companies from proceeding with their merger. 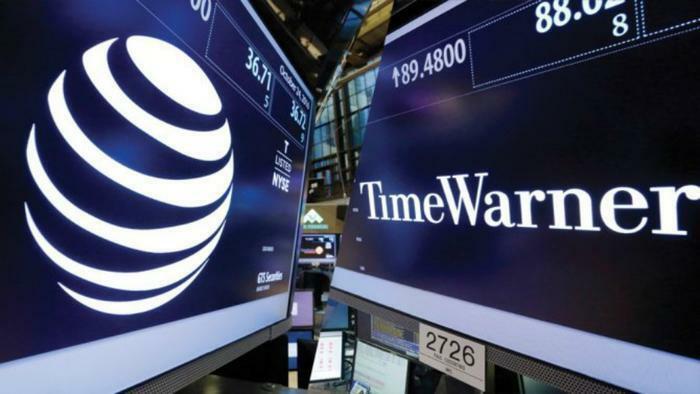 AT&T announced its intention to merge with Time Warner in 2016, as the presidential campaign was getting into high gear. It became a political issue right from the start. Both Republican hopeful Donald Trump and Democrat Bernie Sanders came out against the deal. Trump said the merger would create a company too big and too powerful. Sanders echoed that, telling the U.S. Justice Department that the deal "represents a gross concentration of power that runs counter to the public good." AT&T argued that the merger represented a “vertical integration,” meaning it and Time Warner are not competitors. It was seeking Time Warner because it is a giant content producer, giving the telecom firm a huge addition to its programming library. Critics of the deal said they worried AT&T would favor content from Time Warner on its network, particularly now that it is legal to do so with the demise of net neutrality. The Trump administration Justice Department sided with those critics, filing its suit to block the merger back in March and claiming the union would be harmful to competition. The government said AT&T is not only a huge wireless provider, it has a foot firmly planted in content production. Time Warner is already a huge content provider. It owns Warner Brothers Studios, along with cable channels like HBO, CNN, and TNT. Lawyers for AT&T stayed with the argument that the two companies are not competitors, and that their services merely overlap. In the end, that argument prevailed. There are other winners and losers in the case other than the parties to the suit. Because the government lost in its bid to stop the merger of the media giants, Comcast is now expected to enter a bidding war with Disney for the assets of Fox. Netflix could be a loser, since it faces a potential new content competitor that is in control of a major distribution system. The decision may also change the media landscape in other ways, prompting Verizon to go shopping for a major content producer so that it can better compete with AT&T.